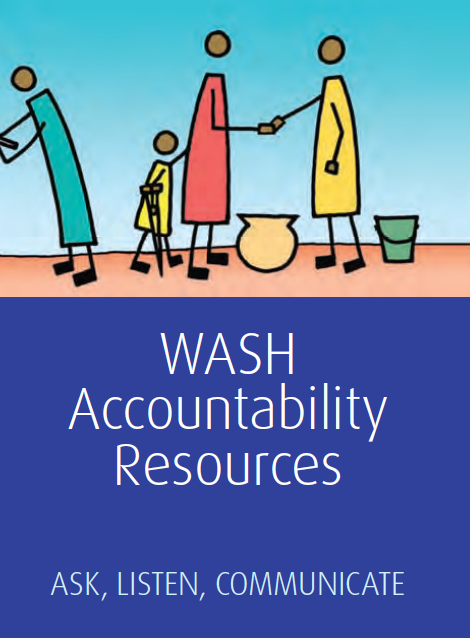 Publisher: Global WASH Cluster Year: 2009 Description: This booklet contains material and resources to promote forward accountability in WASH programmes. Tags: Child Friendly Facilities, Cross Cutting, Gender, Gender Based Violence, Human Right to Water / Sanitation, Hygiene Promotion, and Protection. Languages: English. Categories: WASH Policy Guidelines.